Analysis of lactation records from more than 164,000 Holstein cows found that high SCC puts producers at risk of losing 1,583 pounds of milk per cow across 210 days of lactation.1 That’s $285 in lost milk yield per cow (based on $18/cwt).1 You can’t afford to let SCC rob that much profit. 1. Monitor individual cow SCC to track early lactation udder health. Strive to have no more than 10% of cows with a first test greater than 200,000 cells/mL in a given month of freshening. Use the individual data to make a “hot sheet” of cows with somatic cell counts greater than 200,000 cells/mL for closer monitoring. 2. Establish culturing protocols to help develop a pathogen map. A pathogen map can help you determine the best course of prevention and therapy based on the mastitis-causing pathogens specific to your dairy. Work with your veterinarian to review the results and identify on-label treatment protocols based on the common pathogens on your dairy. Targeted treatments will provide the best chance for a bacteriological cure. Remember: it’s about treating for a complete cure, not just treating the symptoms. 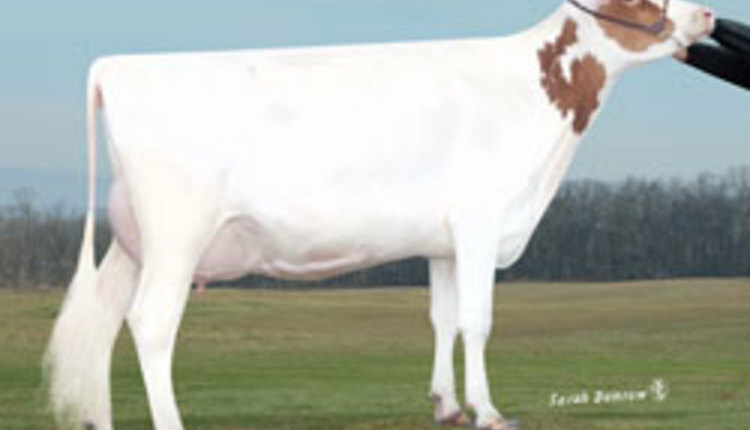 Go to DairyWellness.com to learn more about the impact high SCC can have on dairy profitability and how to make sure a high SCC interest rate doesn’t undermine your progress. IMPORTANT SAFETY INFORMATION: People with known hypersensitivity to penicillin or cephalosporins should avoid exposure to SPECTRAMAST DC. Product requires a 30-day dry cow period and has a 16-day pre-slaughter withdrawal period following last treatment. Use of this product in a manner other than indicated on the label, or failure to adhere to the proper milk discard period, will result in violative residues. See full Prescribing Information, attached. 2 Hertl JA, Schukken YH, Bar D, et al. The effect of recurrent episodes of clinical mastitis caused by gram-positive and gram-negative bacteria and other organisms on mortality and culling in Holstein dairy cows. J Dairy Sci. 2011;94(10):4863-4877. 3 Chebel R. Mastitis effects on reproduction, in Proceedings. NMC Regional Meeting 2007;43-55. 4 Hertl JA, Gröhn YT, Leach JD, et al. Effects of clinical mastitis caused by gram-positive and gram-negative bacteria and other organisms on the probability of conception in New York State Holstein dairy cows. J Dairy Sci. 2010;93(4):1551-1560. 5 Hertl JA, Schukken YH, Welcome FL, Tauer LW, Gröhn YT. Effects of pathogen-specific clinical mastitis on probability of conception in Holstein dairy cows. J Dairy Sci. 2014;97(11):6942-6954. 6 Lavon Y, Ezra E, Leitner G, Wolfenson D. Association of conception rate with pattern and level of somatic cell count elevation relative to time of insemination in dairy cows. J Dairy Sci. 2011;94(9):4538-4545.